Superintendent Anthony Lewis leans in to talk to students before school Wednesday. USD 497 administrators flooded the rotunda during late arrival to provide an increased adult presence as the district works to respond to two recent incidents of students bringing guns to school as well as the investigation of a threat reported on Wednesday. Lawrence USD 497 implemented new security and support measures starting Wednesday morning in response to two gun confiscations during the past week while also investigating a new threat. A Lawrence High School student reported a SnapChat post from a Free State High School student in which they said the Free State student threatened to shoot the reporting student at LHS today, according to a statement from Julie Boyle, director of communications for USD 497. The onslaught of news has been concerning to many throughout the district. “Well as a parent, I’m concerned for the safety of my children, their friends; frankly all students and individuals there,” school board member Melissa Johnson, who is also an LHS parent, said Tuesday night. In response to previous threats, the district sent out an email on Tuesday night detailing steps they will take over the next week and beyond. A couple visible changes put in place this morning included the presence of district administrators and increased police presence. 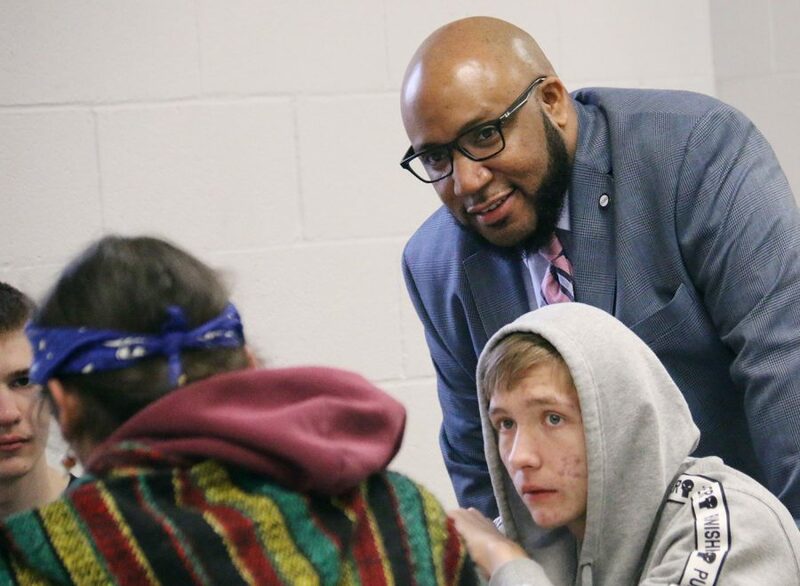 While the district enacts tangible security measures like increased police and review of crisis plans, it also wants to make sure students feel supported. A key to that feeling of safety, Johnson believes, lies in the relationship between students and adults in the building. To foster these kinds of relationships, students will evaluate their relationships with adults in the building during an activity planned for third hour Thursday. Combating these threats will also be a community effort. USD 497 is partnering with the Be SMART campaign to advocate for gun safety in the home to make it harder for students to bring guns to school in the first place. Be SMART will have information during the Feb. 19 basketball game. The district will hold a Community Conversation about Public Safety from 6:30-7:30 p.m. Feb. 21 in the LHS cafeteria so that community members can make their voices heard. LHS teachers were encouraged Wednesday to make sure students continue to report concerns and rumors. School board member GR Gordon-Ross said its essential that students remain vigilant. Share concerns with school staff members. Call the Douglas County Crime Stoppers hotline, 785-843-TIPS (8477). Call the Kansas School Safety Hotline, 1-877-626-8203. Nadia Sanburn contributed to this report.